This week, tenor Dmytro Popov and bass Matthew Rose return to Boston Symphony Orchestra to perform Dvořák’s Stabat Mater at Symphony Hall under Maestro Andris Nelsons. They are joined by soprano Rachel Willis-Sørensen, mezzo Violetta Urmana, and the Tanglewood Festival Chorus. 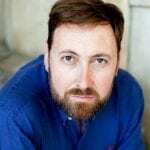 Matthew Rose continues a highly successful season, which has seen a critically acclaimed run of performances at Philadelphia Opera as Bottom in Britten’s A Midsummer Night’s Dream. The performances in Boston mark Matthew’s debut performance of Dvořák’s Stabat Mater, before he heads on to New York where he will perform Mozart Requiem with the NY Philharmonic. Next season, Matthew returns to North America for a number of high-profile engagements including Leporello Don Giovanni at Lyric Opera, Chicago, Claudio Agrippina at the Metropolitan Opera, and a debut at the Canadian Opera Company as Vodnik in Rusalka. 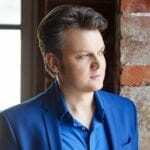 This marks the continuation of a very busy season for Dmytro Popov, who joins the Boston Symphony Orchestra straight from performances of Un Ballo in Maschera at the Bolshoi Theatre. Next, he returns to Dresden Semperoper for Cavaradossi in Tosca, Oper Koln for Der Prinz in Rusalka, and Robert in Iolanta at the Opera de Paris. Next season, he returns to the Metropolitan Opera for La Traviata, Oper Koln for Carmen and Opera de Paris for Madama Butterfly. Dmytro and Matthew perform with the Boston Symphony Orchestra on Thursday 28 February, and Friday 1 and Saturday 2 March. Find out more here.